The enchanting tracks of a new album produced by a three-generation Aussie family band is on repeat in our car. Woody's World - Good Morning Kids. Good Morning Kids is filled with music to treat the ears of young folk and grown-ups alike. 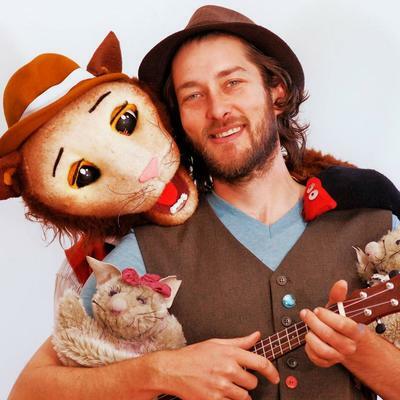 A debut album by early education teacher Woody Clark and his musically talented family, Good Morning Kids introduces an enjoyable journey through 17 easy listening tracks, designed to resonate with audiences of all ages. Songs that appear on the album, derive from Woody's personal experiences. Having said that, Good Morning Kids explores familiar moments in most Aussie families such as road-trips, wildlife encounters, friendships, school years, stormy days, seasons, and the arrival of new siblings. Some of Woody's father's songs from the 70's have delightfully worked their way into the mix, including Hercules; a song about a city alley cat. Hercules the Alley Cat has now become part of Woody's live shows in the form of a puppet. With a musical upbringing himself, it isn't much of a surprise to see Woody's own children progressing into music, too. Good Morning Kids sees Woody's three children heavily involved in the album. Three tracks on the album were composed in collaboration with Woody and his daughter Jayda; Friends, Catch The Leaves and Flying. Woody's other two children, Tali and Safin sing and play instruments throughout. Woody's son Safin demonstrates his musical talent playing the cello on the track Storm. 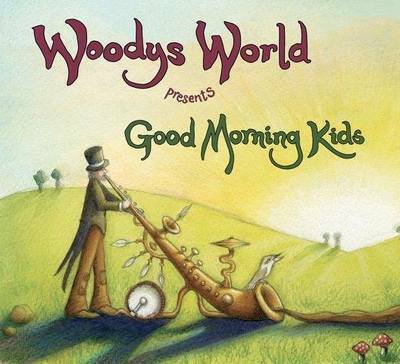 Woody's World - Good Morning Kids is an absolute delight to listen to. My eldest child, 7yrs, can't make up his mind on his favourite, but Good Morning and Charlie and Belinda Mouse can often be heard hummed around the house! I've got a soft spot for I'm Flying although Hercules is a lot of fun to listen to. Woody has kindly offered Woody's World - Good Morning Kids on CD to giveaway to FIVE KidTown Melbourne subscribers. If you'd like to win Woody's World - Good Morning Kids, email kidtownmelbourne @ gmail.com with your full name, and WOODY in the email title. Five winners will be notified in two weeks.